Electrical gremlins will get you every time. 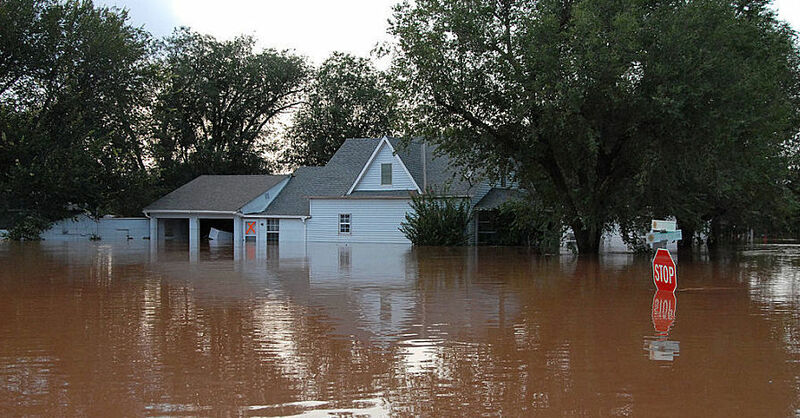 Even if you are a seasoned professional, shorts, grounds and intermittent electrical issues are frustrating to chase down. Once you find the problem the fix is usually easy, but by then half of your hair is on the floor from being pulled out during the search. Not good. 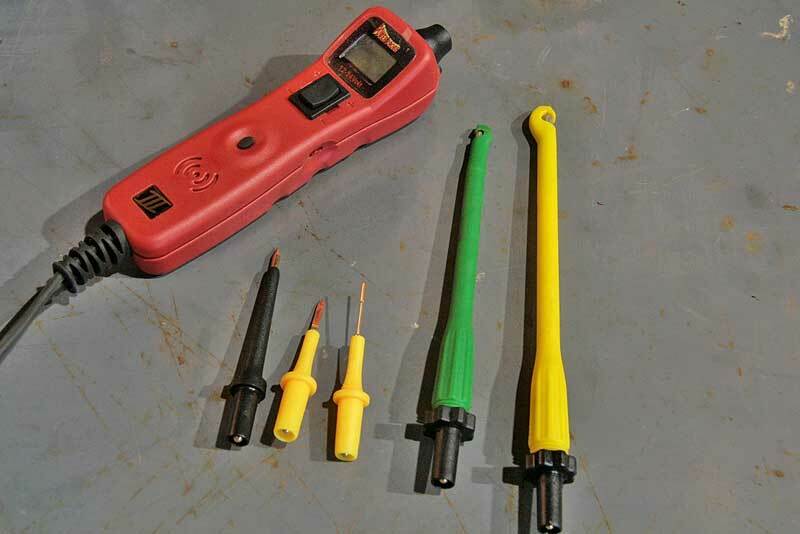 A multi-meter and a test light are required tools for any tool box, but there is a that has changed the way we solve electrical problems and it is called Power Probe. 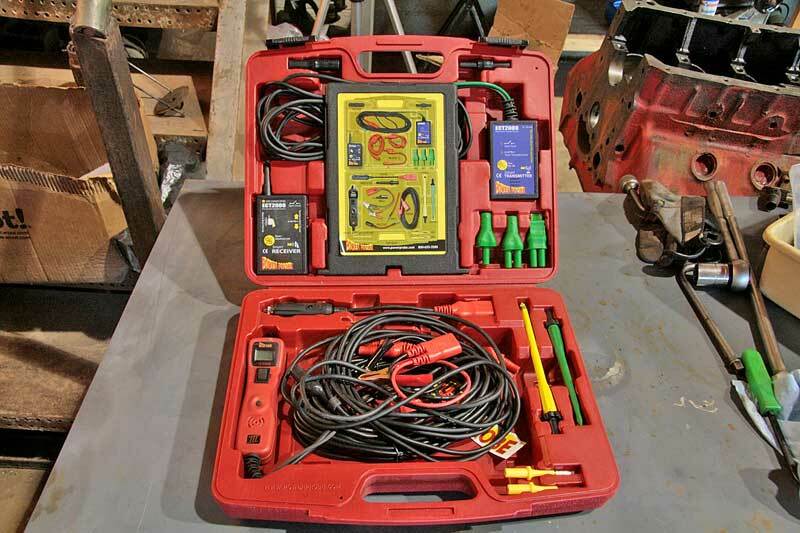 The Power Probe basic kit comes with the power unit, three probes and two piercing probes. The piercing probes open and close by threading the base in and out of the probe unit which grabs the wire and pierces the wire with a needle probe. 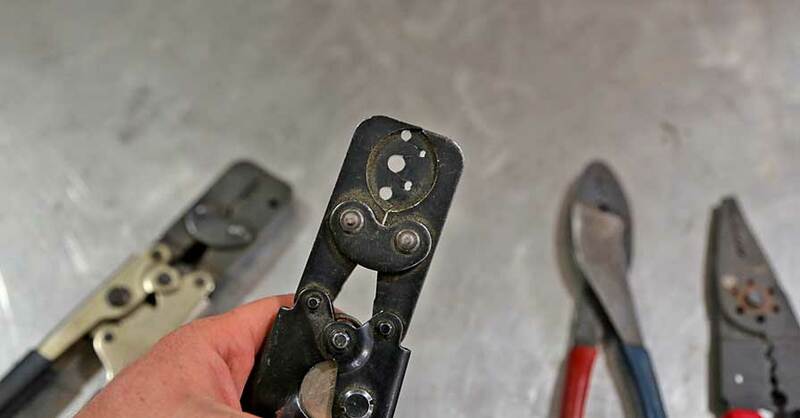 It saves your fingers and leaves a much smaller hole in the wire covering. 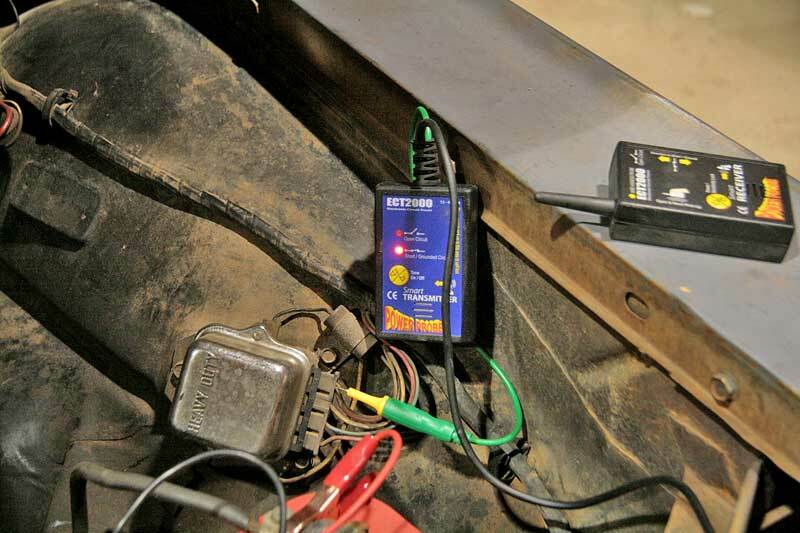 At first glance, the Power Probe looks pretty simple, and it is, but what it does is remove a lot of the roadblocks that come up when chasing down wiring problems. A multi-meter will tell you if the wire has voltage, but you have to switch leads to determine if it is positive or negative. 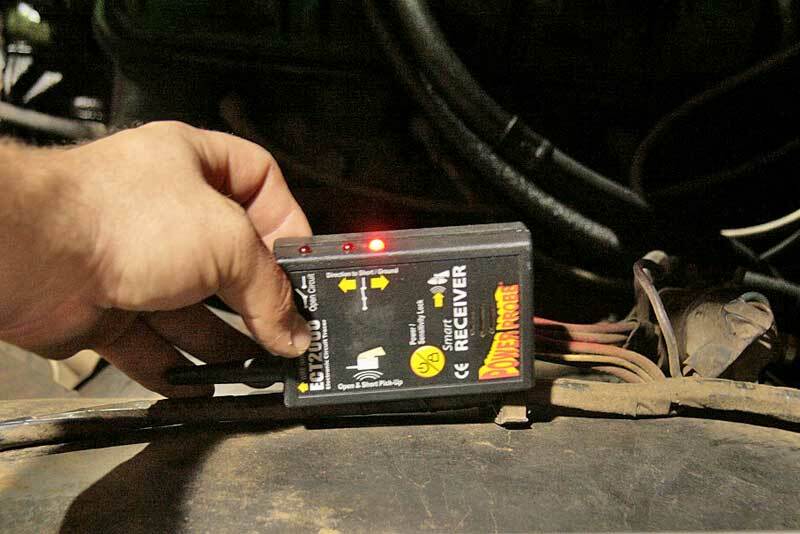 The Power Probe is powered via the battery (or a 12 volt source) and tells you instantly whether the wire or circuit is live and which side of the circuit you are on, positive or negative. This in itself solves a lot of problems, and there is more. 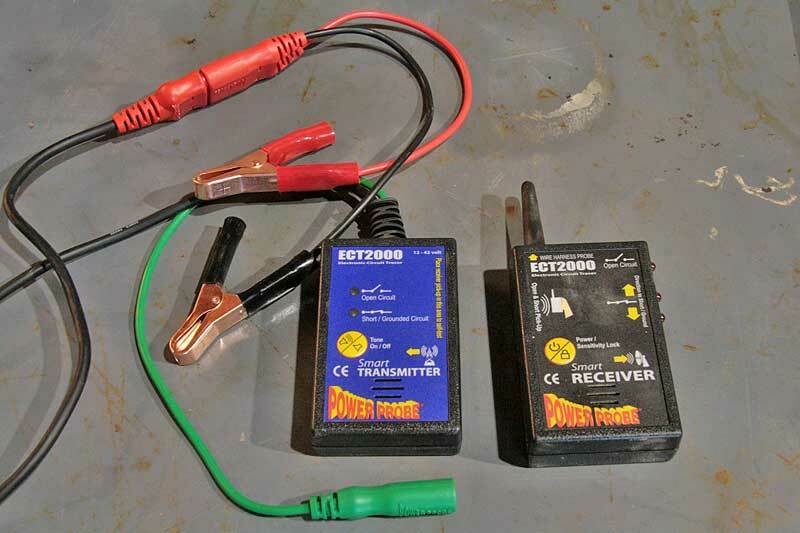 The ECT2000 unit connects to the battery just like the Power Probe. The green wire attaches to the one of the probe ends to inject the signal. There are three lights on the receiver, the one to the left notes open circuits, while the two the right point the direction to shorts. The probe on the end is handy for searching large wire harnesses. Since the probe is powered, the tip can provide either a positive or negative charge, allowing you to power a circuit on the fly, without removing the probe first. Just toggle the momentary switch up or down to juice the circuit. If you add the wrong polarity, the buzzer will sound and shut off the juice without popping any fuses. A built-in 10 amp resettable breaker protects the Power Probe from damage as well. The base of the probe has a pigtail attached that provides a constant quality ground, allowing you to assess the ground circuit at the same time. 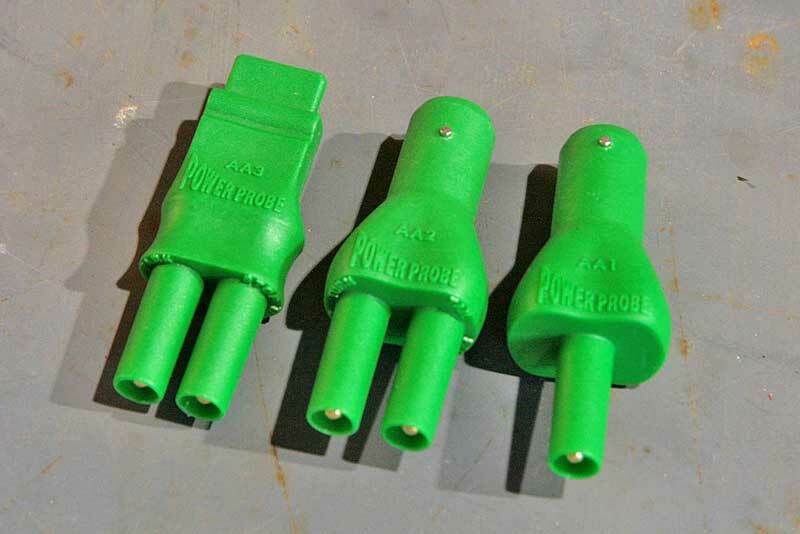 The Power Probe comes with quite a few accessories, including three bulb socket probes, a fuse panel probe and a nifty backside probe which is great for sliding into the back of insulated terminals. The probe has everything needed to pinpoint problem wires and circuits, but that is only half of the story. The master kit also comes with the ECT2000 circuit tester (which is available separately too). The ECT2000 is unlike any device you have ever seen: it is an electronic sniffer. Another great tool are the socket probes, which help you test both the positive and negative sides at once. We found a socket that looked good with a meter, but the bulb wouldn’t work. 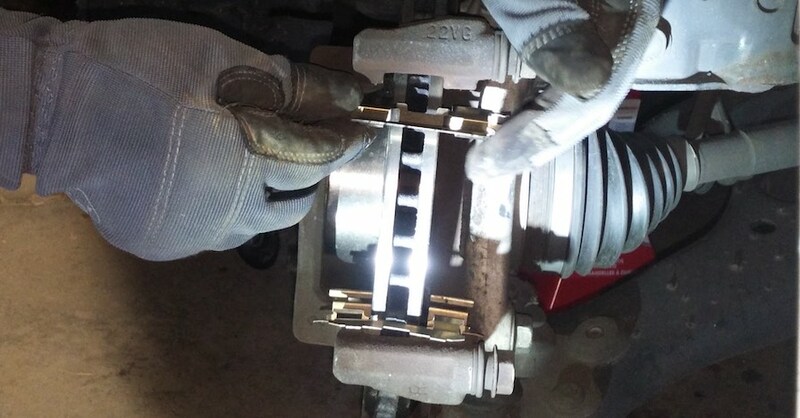 Using the socket probe, we discovered that was because the housing was bent and not making connection. 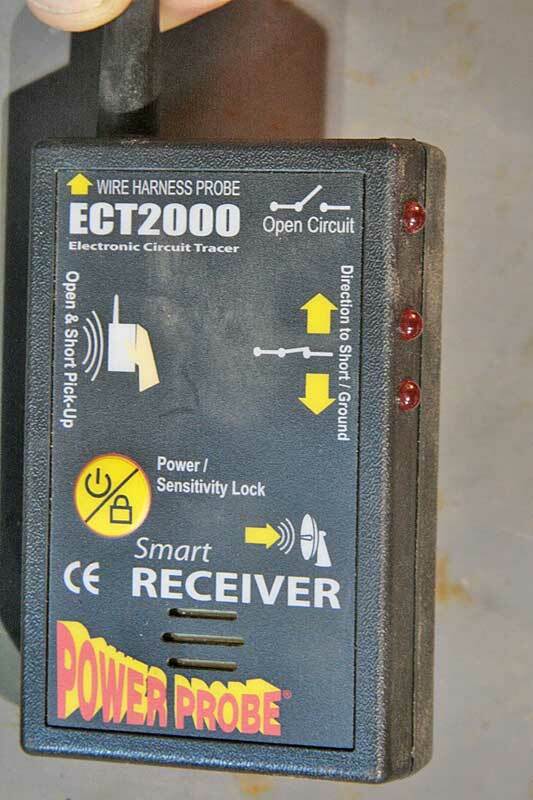 What the ECT2000 does is inject a signal into the circuit via the master unit, then the receiver unit is swept over the circuit (a single wire, circuit or a bundle of wires) and it picks up the signal. Where this is important is the receiver can find a break in the signal (an open circuit, like a break in the wire) or a short circuit. A single wire is easy to trace, but a wire bundle is more difficult. 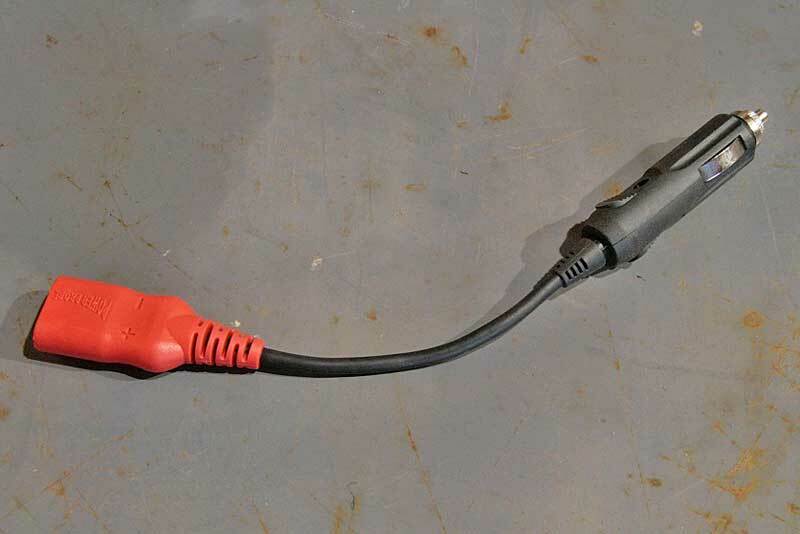 Even though the battery terminal connector is 20-foot long, sometimes it is easier to use the accessory plug, which is also an easy way to test them. 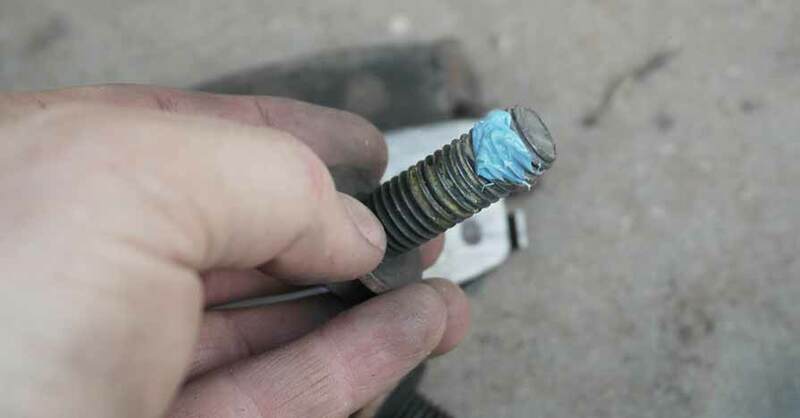 When wires run parallel or are twisted together electrical signals can jump from wire to wire, just like spark plug wires. This is called capacitive coupling and it makes the signal harder to trace as it will jump the open or short. Through capacitive coupling, the signal is considerably weaker. By holding the receiver further away from the wire bundle, the stronger signal prevails, allowing you to trace the wire. One of the best features of this tool is that it not only sniffs out a problem circuit, but will tell you the direction of the problem. This is done by a pair of lights that light showing the direction of the problem. With the Probe powered up, we placed it on the battery negative terminal. It lit the “-“ sign, showing a ground. When we switched it to the positive terminal, the “+” lit up, illustrating a positive connection. 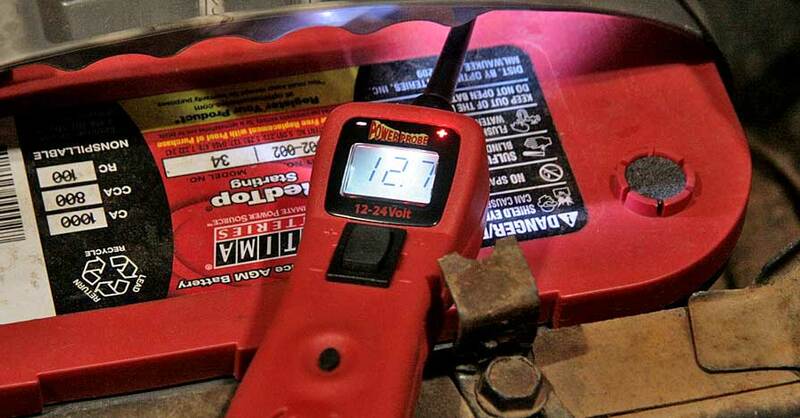 The LED display also displays the voltage. You can also induce a positive or negative trigger at the probe by pressing the switch up or down respectively. Using the backside probe on the ECT2000, we noted a grounded circuit in the headlight module. Holding the receiver to the master unit, we locked the signal in so we can trace it. Holding the receiver to the wiring bundle, the arrow lit to point us to the ground. While this wire is supposed to be a ground, the process is the same to find issues within other wires. 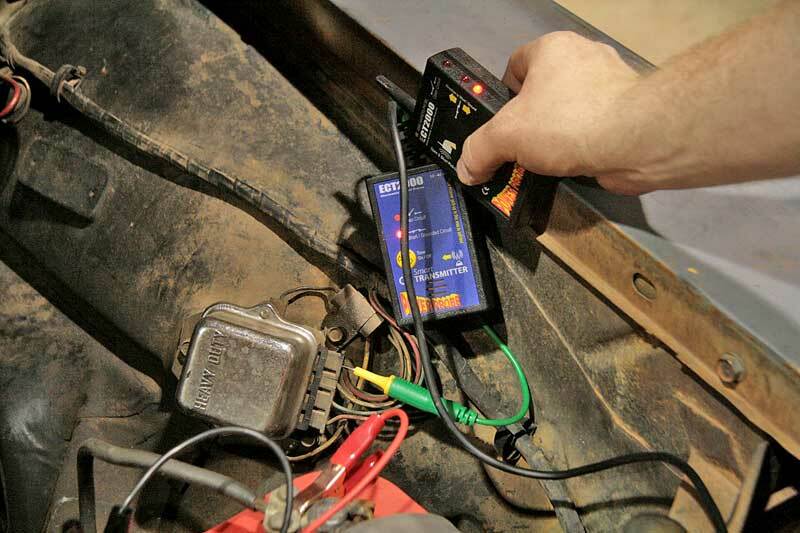 This system works really well, we have used it on several new cars to trace out problem wiring in taillights and trailer plugs too. 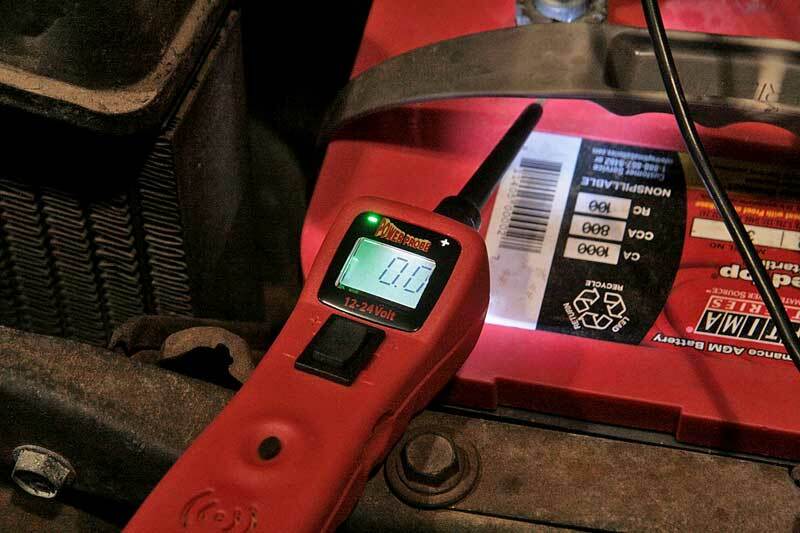 Using the ECT2000 takes a little getting used to, but once you get the hang of it, electrical diagnostics is easy. We used this system to trace a few wires on a 1963 Buick Le Sabre wagon. We used it to locate the fuel sender signal wire inside the wire harness and traced it through to the dash, letting us get the fuel gauge working. The key to using the Power Probe and ECT2000 is the instructional DVD. The paper manual can’t illustrate the ECT2000’s function like a live demo can. You can watch videos of the unit in use on the Power Probe website. It turned out to be a bad connection at the fuel sender itself. 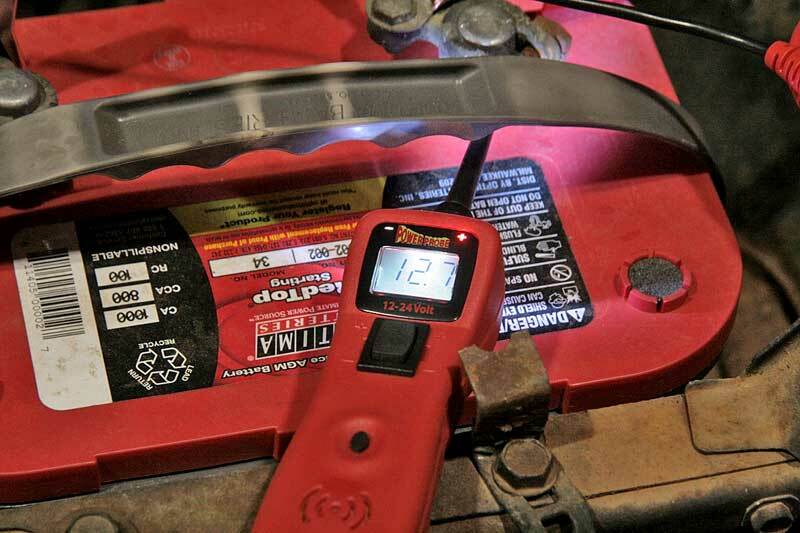 If you have ever had to work on an electrical system, this is the tool you need. Check out all the tools & equipment available on NAPA Online or trust one of our 17,000 NAPA AutoCare locations for routine maintenance and repairs. For more information on electrical troubleshooting, chat with a knowledgeable expert at your local NAPA AUTO PARTS store. A life-long gearhead, Jefferson Bryant spends more time in the shop than anywhere else. His career began in the car audio industry as a shop manager, eventually working his way into a position at Rockford Fosgate as a product designer. In 2003, he began writing tech articles for magazines, and has been working as an automotive journalist ever since. His work has been featured in Car Craft, Hot Rod, Rod & Custom, Truckin’, Mopar Muscle, and many more. Jefferson has also written 4 books and produced countless videos. Jefferson operates Red Dirt Rodz, his personal garage studio, where all of his magazine articles and tech videos are produced.